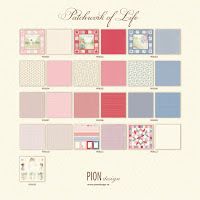 I'm so happy to share with you today, my first card using the newest Pion Design collection "Patchwork of Life". All the soft pinks and vintage feminine images gave me a vision of a sunny Sunday afternoon without a care in the world. This card would work for any feminine occasion! I hope everyone is enjoying summer so far. We have had much better weather this year than we did last year, so I have been spending a ton of time outside. So many squirrels to photograph and not enough time to do it! lol. For today though, I thought I would share some photographs that I took at the Bird Kingdom in Niagara Falls. What a wonderful experience that was, one I plan to do again next year! Back on the home front, there are babies everywhere!! What a wonderful time of year!! "Patience little one. Eventually the human will go inside, and then we can grab all the squirrel food!" 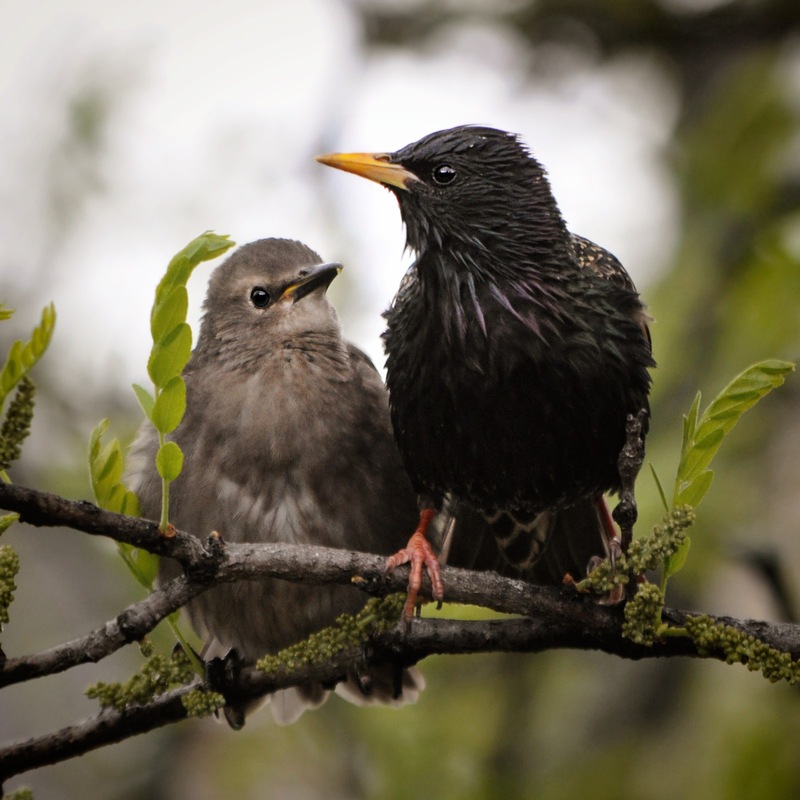 Baby Starling named Taylor who has taken a liking to me! Let's not forget about my darling baby squirrels!! "I'm pretty new around here, so I have to ask... Isn't there supposed to be food in here?!! "What the hell is that thing! Is it just supposed to sit there like that! I think I saw it move!" Wonderful card with the very beautiful new Pion set. 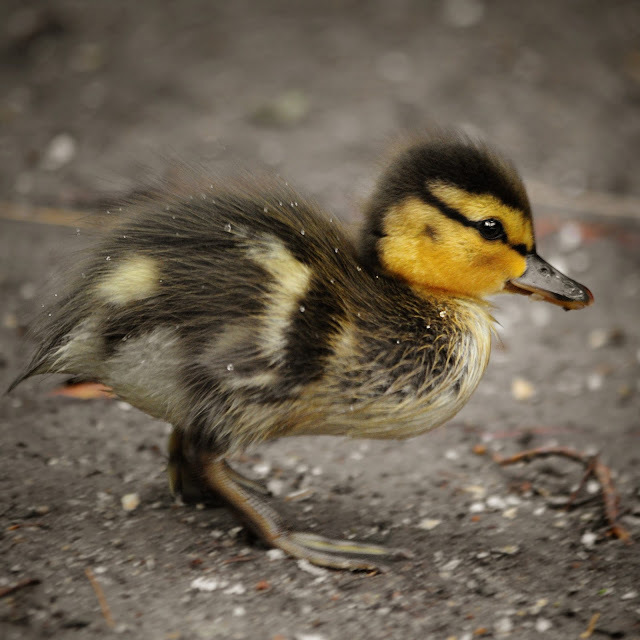 Amazing photographs as always with the little ones stealing the show--ahh they are so cute. Gorgeous card you have made,amazing. wowzer, what a wonderful card from your crafttable. 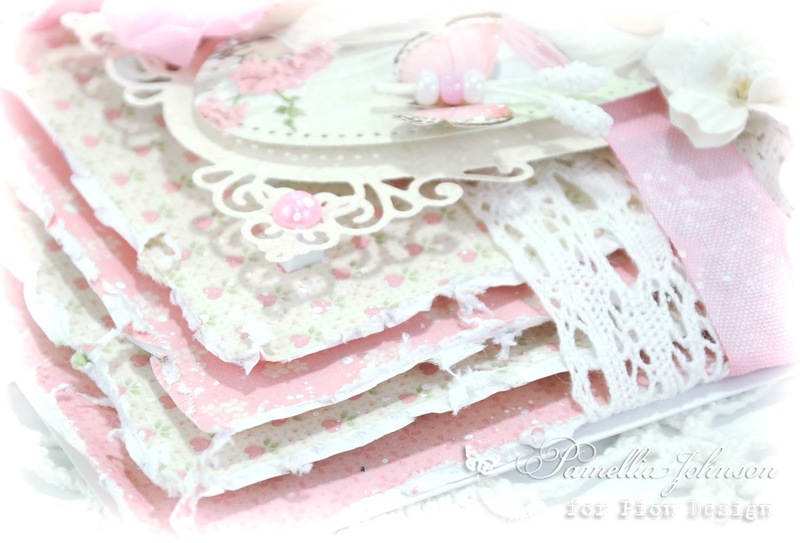 so love the soft colours and the divine papers. We suffer in the heat as well. Last couple of days it has been between 32°C and 35°C and doesn't cool at night, so we sweat, sweat, sweat! The new papers are wonderfully delicate looking and the card you created is exquisite Pamellia, beautiful layering and wonderful design! 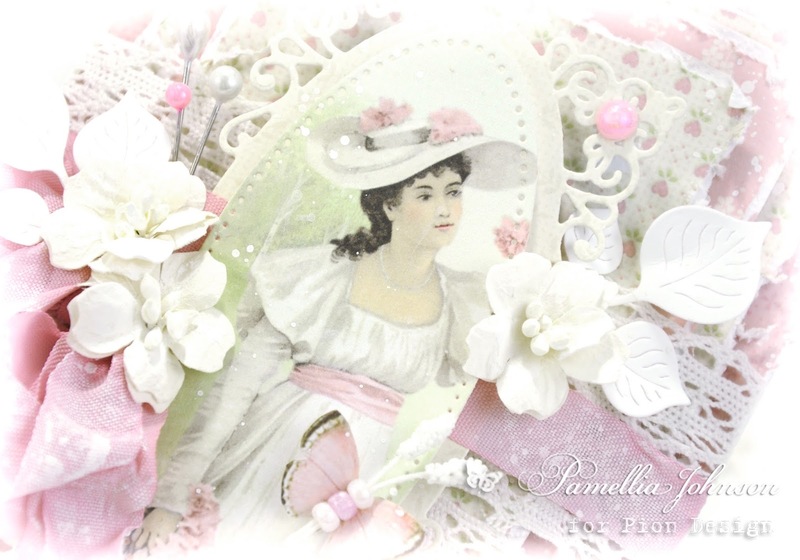 What a pretty card Pamellia ! You take amazing photographs ! Wow, stunning card. Your little beaded butterflies are amazing. Fabulous bird photos, but of course the squirrels are my favourites with your witty captions that are totally what they are thinking! So glad to see a post from you again, Pamellia. I am always in awe of the fabulous layering you do on your cards. I just want to reach in to feel all those layers and textures. Love everything about this card. What dies did you use and how large is the card? Of course, your wildlife photos are spectacular! Love seeing all those sweet little things. Is your patio finished yet? I've just been enjoying this fabulous card over at Pion - stunning layers and detailing as always - and you make those new papers sing! I was already enjoying the avian focus today - amazing bird portraits - and then the baby squirrels turned up and I nearly fell off my chair with adorability-overload!! A beautiful card Pamellia, so pretty and feminine with those gorgeous papers and shades of pink. 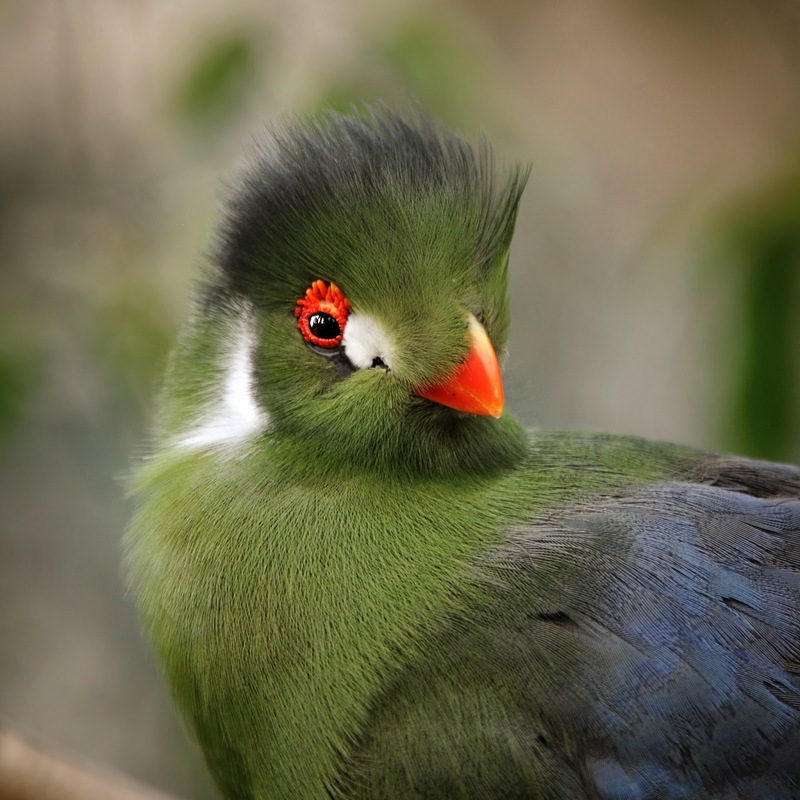 Wonderful photos of those exotic birds and the babies are adorable. Gorgeous shabby chic make Pamellia! Good to see your beautiful work! 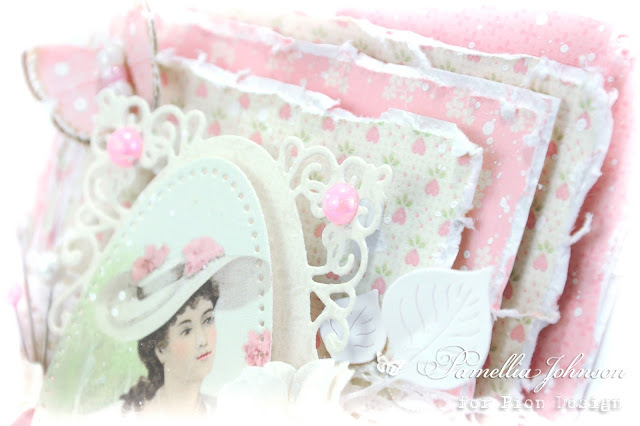 Absolutely gorgeous Pamellia, what beautiful papers and the lady topper is so pretty. Fabulous design with all the wonderful embellishments. 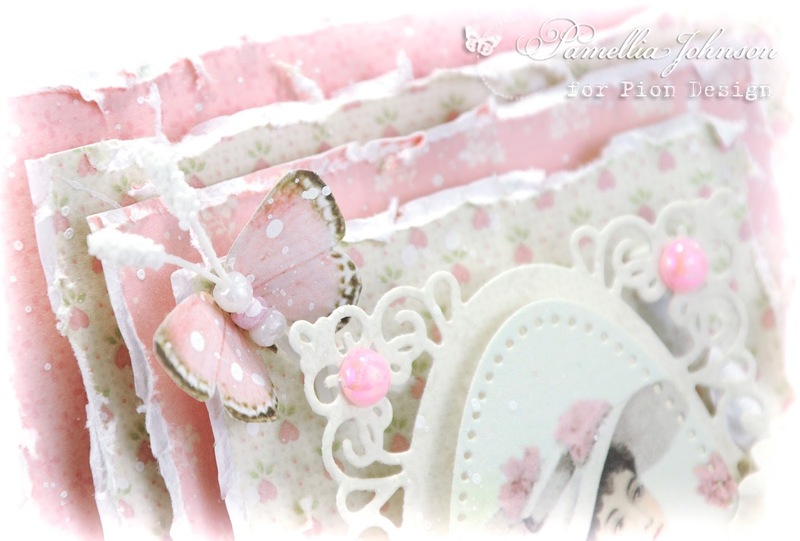 Stunning card Pamellia, beautiful papers and gorgeous layers with embellishments. 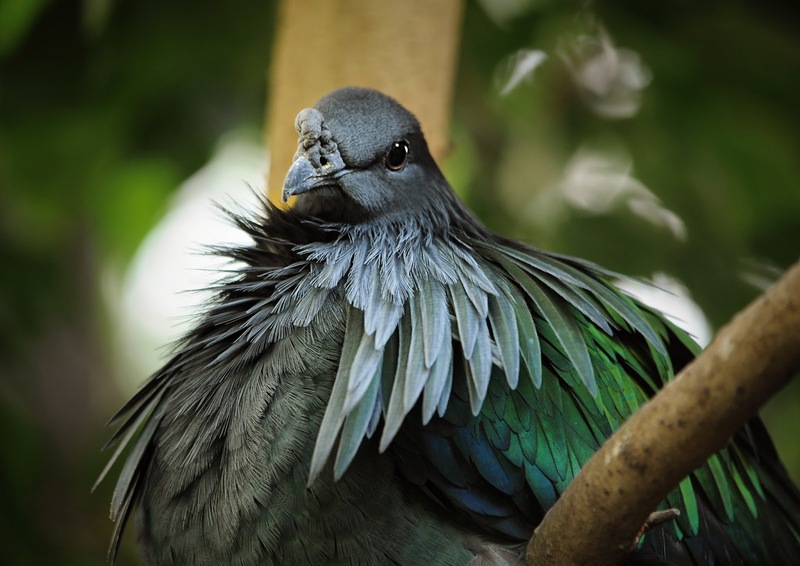 Fantastic photos you have taken, those birds are really pretty. Good to see your blog post today. The card and new papers look gorgeous. The photos all look amazing and it was nice to meet the two new squirrels. A stunning and very girly card Pamellia..very very pretty..love the photos of your birds and the babies..baby animals are so cute..
Well, hello! Great to open my e-mail tonight to see your blog post! gorgeous card and fabulous photos! 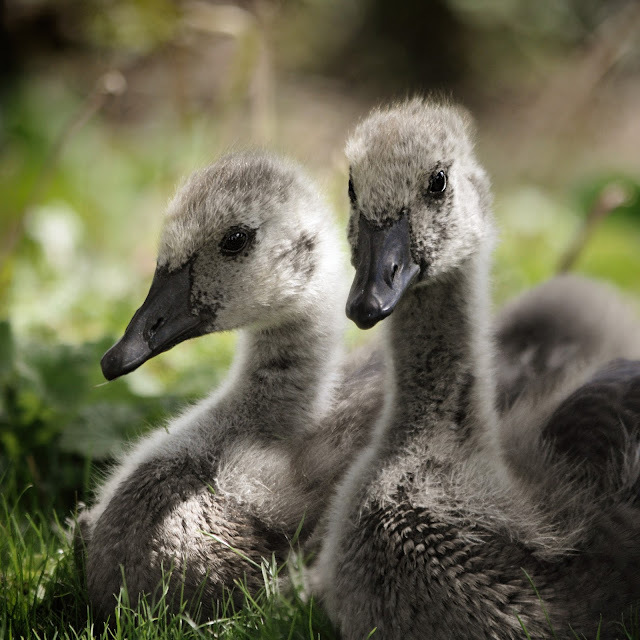 Love those babies! I'm on my way to bed, but I'll check back tomorrow. Sending hugs! This is so lovely Pamellia the soft colors and shabby style! Your little butterflies with the beads are amazing!!! great work! 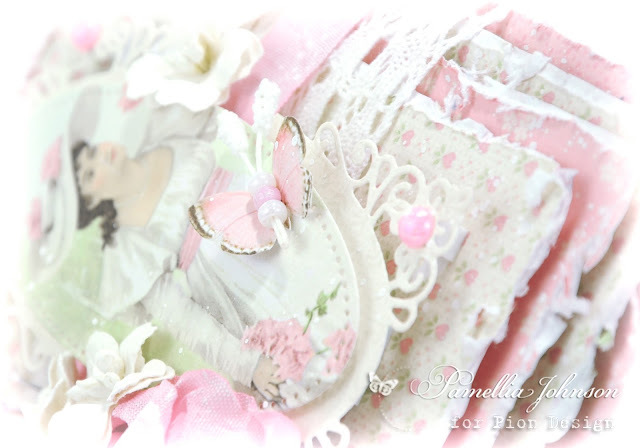 Good to see you with an absolutely gorgeous card, so delicate and so VERY stunningly beautiful, love the layers and the butterfly with tiny beads, OK I LOVE everything about it. your photos as always are FABULOUS, you are turning into a professional photographer. I hope you have another outlet to show your photos off to the world. 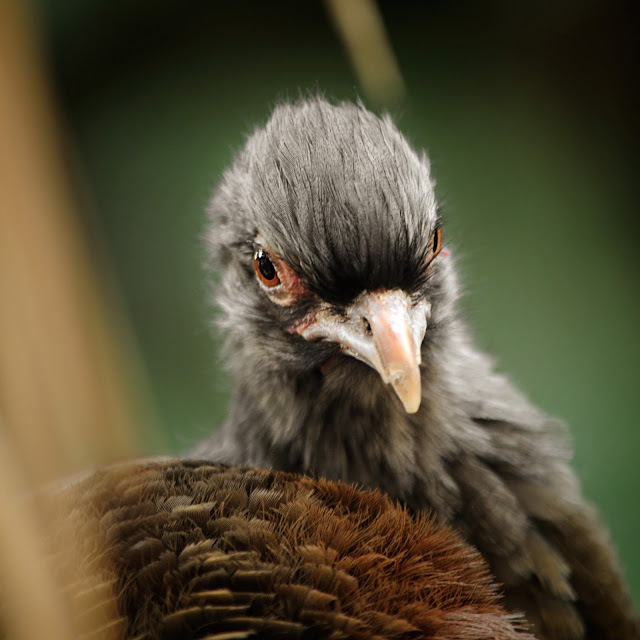 ie Bird web site. Have a wonderful weekend Pamellia. Holy layers, Squirrel Girl! That card is pure shabby girly layered goodness. Just gorgeous. 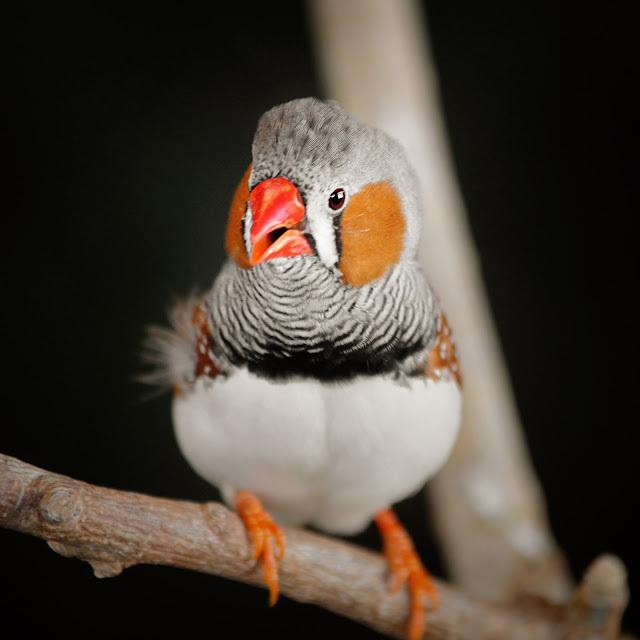 Thanks for the bird pix-- I had zebra finches in college, and they were so fun to be around! Beautiful card! And lovely pics. It has been way to hot where I live to go outside which makes me sad. We cant go outside until 6pm when it starts to cool down slightly. lovely to have you back from your hols and posting your very beautiful creations. This one is so pretty and very feminine and gorgeous and so stunning. As usual you have created such wonderful and super layers. The pretty pink colour is so super. As usual you photos are outstanding and so superb. My this is my first glance at some of those birds and they are beautiful species. Also super photos of your wonderful and cute furry friends as well. My computer was in danger as I drooled over that wonderful card Pamellia. 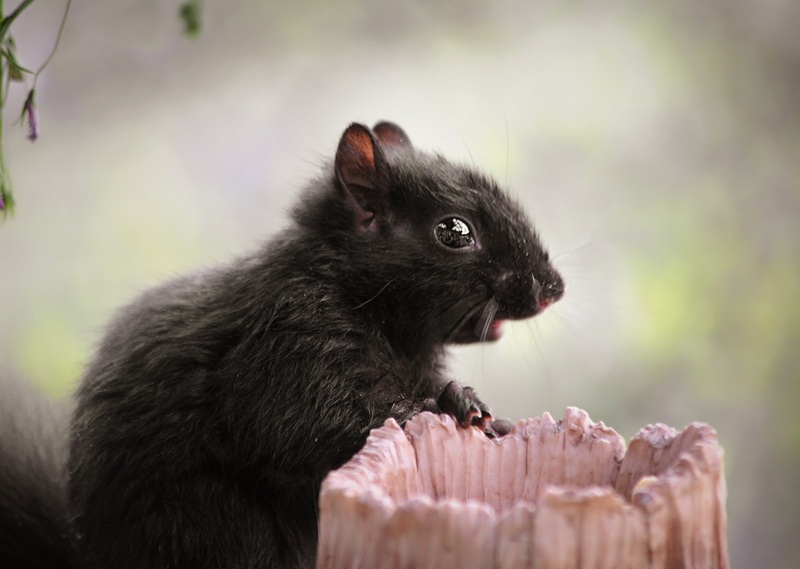 Your baby squirrels are gorgeous! 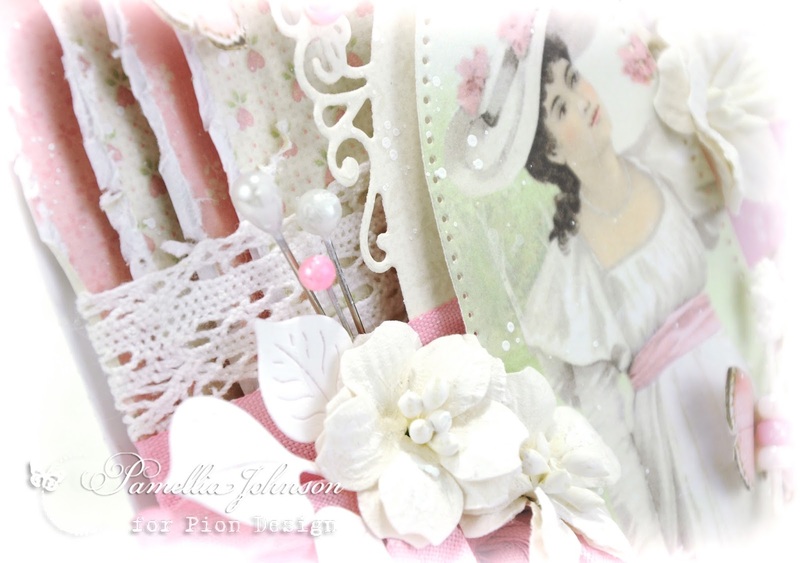 How lovely to have those gorgeously pinked up layers like that and delicately "bundled" with the lace. 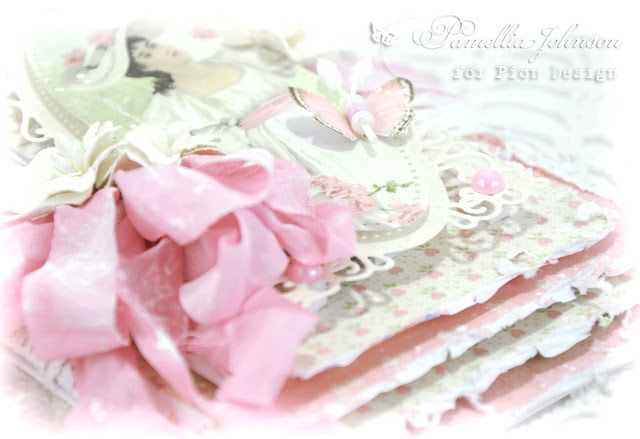 Pamellia, there is no way that the girly girl in us all would not jump out and attach to this amazing creation! It's pure loveliness with the pearly butterflies, and softness of the girl's attire. I'm so much like Snoopy's "Pig Pen" character - keeping white or the palest of pastels clean would be impossible. LOL Beautifully done! Been thinking of you these past weeks, and holding you close in my thoughts and prayers. By the looks of your incredibly awe-inspiring photos, I would say Mother Nature is gifting you to see her beauty everywhere, in the tiniest of delicacies. I never cease to be wowed by the tiny wasps, bees, and other pollinators who proliferate around my flowers at different times of the day. Each species seems to come at different temperatures and "sunlight-amounts" of the day. The hummers enjoy the cool mornings and late afternoons. 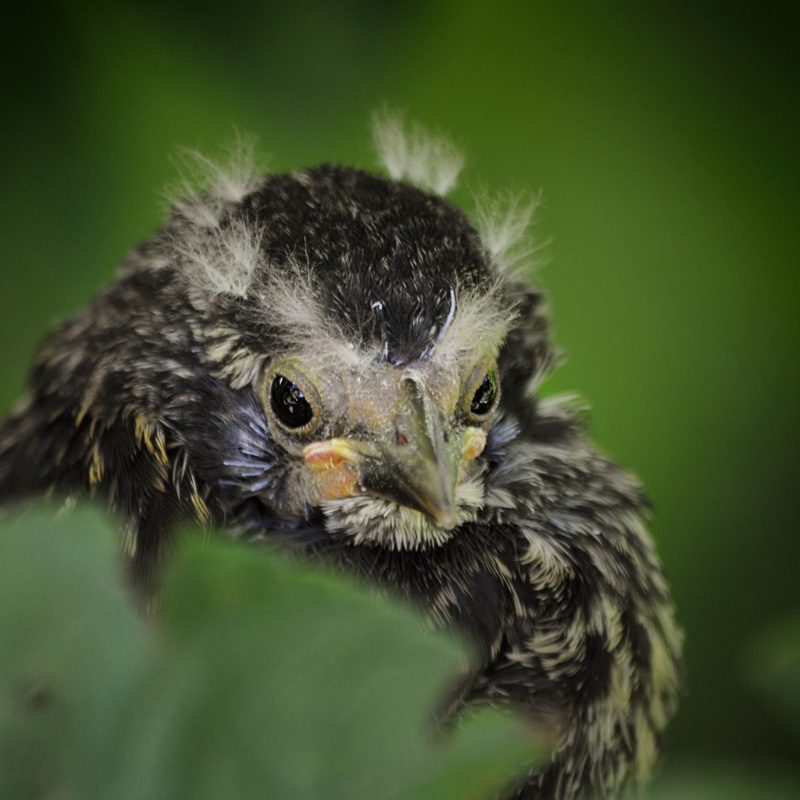 During our Florida summers, all the insects and birds seem to take siestas in the mid afternoon heat until around 4:30, when all comes to life again. 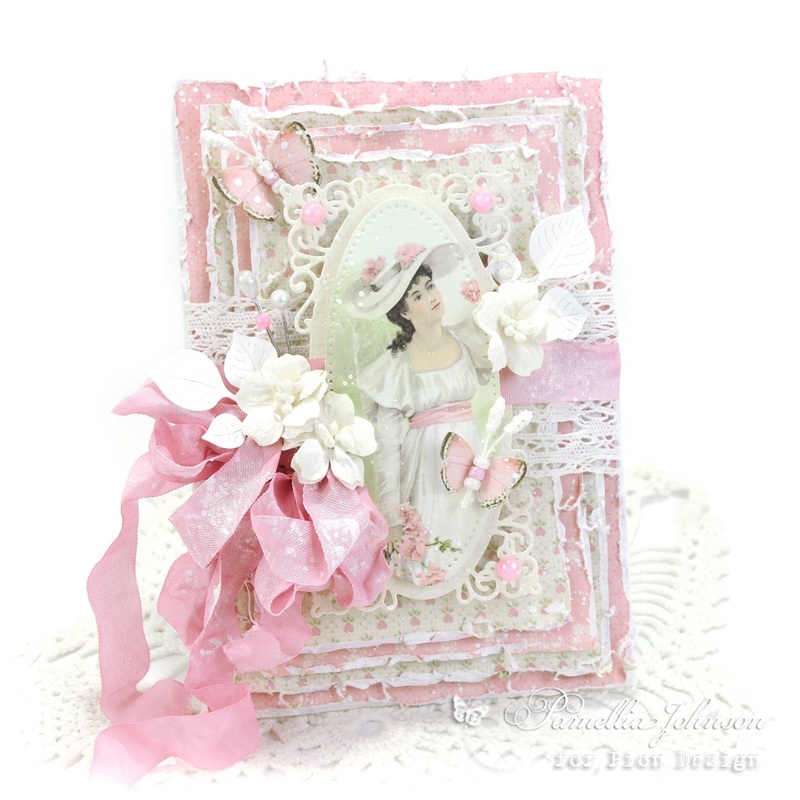 A real girlie card, lovely image and beautifully layered. Well, I finally made it back, and I can see Punkin' is also late to the party! It seems we are all finding things to do outdoors and away from blogland that we don't always drop by in as timely a fashion as we used to. Your card is amazing! Love all those layers, lace and beautiful shabby bow! Laughing at the squirrels checking out your tree stump! 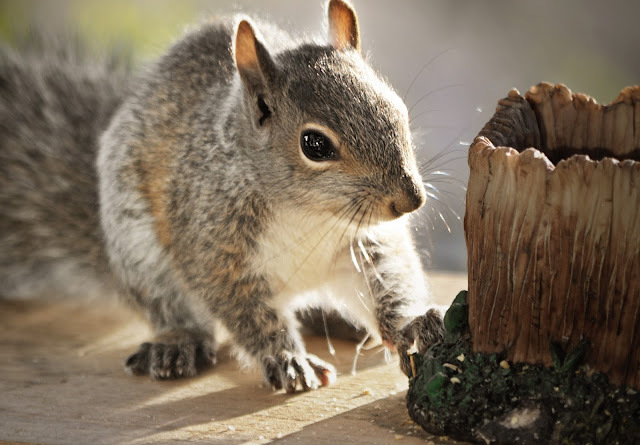 Every time I see my tree stump/squirrel thingy, I think of you! 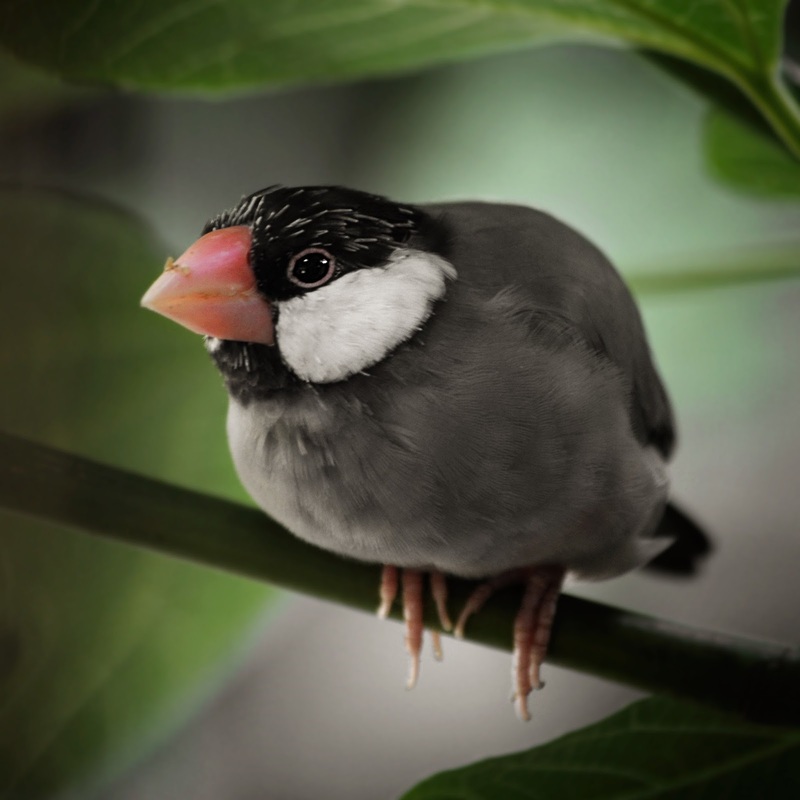 Beautiful birds at Bird Kingdom and you got some awesome shots. Are you far from Niagara Falls? If you are, lucky you! I used to love visiting there as a child. Sending hugs to you!